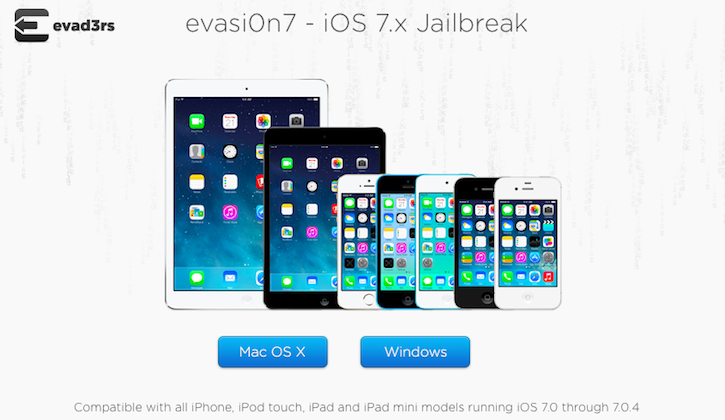 Jailbreak enthusiasts were pleasantly surprised yesterday when the long-awaited jailbreak for iOS 7 was released by Evad3rs, the same group responsible for developing the last jailbreak. Almost no one, including app/tweak developers, were expecting the release before Christmas which has raised a few problems. Currently, almost none of the Cydia apps have been updated to work with the Evasi0n 7 jailbreak. A fix should be coming shortly. Once app developers, including the developer of Cydia, catches up to Evasi0n7, things should progress smoothly. So please hold on to your horses and wait until further notice to jailbreak your iOS 7 device. There are reports of "boot loops" occurring with the current version, where your device keeps rebooting and has to be restored completely to work again. For AppRadio users this news is important because AppRadio Extensions is currently incompatible on Evasi0n7. AppEx is an awesome jailbreak tweak which helps you modify various functions of the AppRadio. The tweak was made open source a few months ago by its developer. Awaiting AppEx update before updating from 6 to 7 and jb again. Awesome tweak! Don't want to be without it! Exactly, my car wouldn't be the same without it :). It's open source now so I guess someone will port it soon to ios 7 and maybe add more features :P.
any idea on when is the appex work with iphone 5s?